Thank you, Mr President, and thank you to our briefers. And in respect of the briefing, I think it’s a very good thing that we’ve gotten Ms Salamanca here because it’s an important reminder of the role that women’s organisations have played in the peace process. I think what we’ve heard today from the Special Representative shows that the peace accords continue to set a positive example to the rest of the world. The commitment of the government is very welcome, as are the steps taken towards reintegration of former fighters, rural development, crop substitution. And the government is clearly trying very hard to find a national consensus on issues that are deeply polarizing. Of the three areas we would like to highlight that we believe deserve the government’s urgent attention, the first one is a transitional justice system. We agree with the Secretary-General that the special jurisdiction for peace discussion has become more polarized. We hope now that the SJP will get legal and political support to build on the progress it’s made. And we also hope there might be a stronger legal footing for it in order to boost public confidence in the peace process and bring about the national consensus that President Duque is rightly committed to. Secondly, I’d like to echo concerns about human rights defenders and social leaders. The fact that they continue to face killings and threats at the hands of armed criminal groups competing for territory - and this is something the Council has been interested in before - the recent regional sessions of the National Commission on Security guarantees are a positive step forward. But I think we need to see more concrete actions to improve security on the ground. And this might include - and I might be interested in the SRSG’s views - on a stronger state presence in rural areas. Thirdly, we welcome the initial successes of the territorially focused development plans and crop substitution initiative. But I think our overall point is that the pace of implementation of the peace process, we’d like to see that increase across the country. There have been some delays, as set out in the SG report. 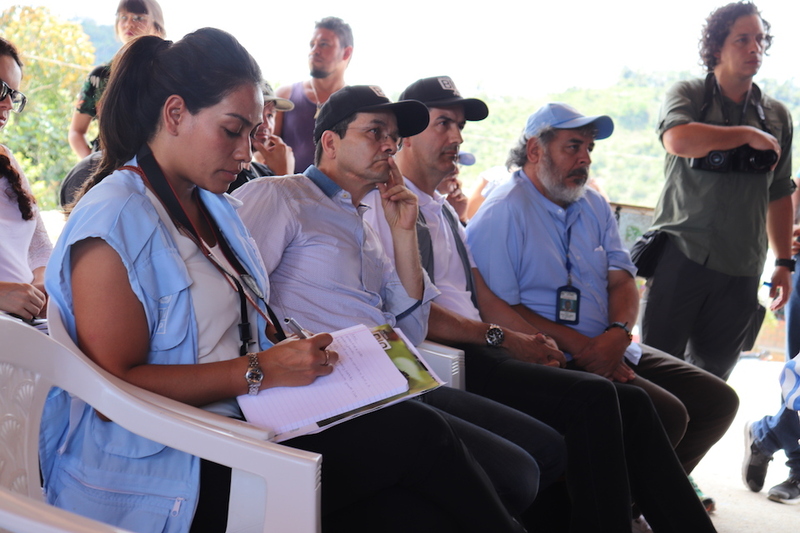 And I think where everyone is very well aware that the sustainability of peace depends on transforming the Colombian countryside and meeting citizens needs for viable and legal livelihoods. But it’s also important that the international community support Colombian efforts. And finally, I’d like to take the opportunity to commend the SRSG because the areas of progress identified in the Colombian peace process is a very important part of how we view these regular sessions. For the British government’s part, we recognise the progress the government has made and we’re fully committed to working alongside the government as they build the sustainable peace. We will continue to support them. The Foreign Minister was here a few weeks ago and we talked about the recent objections that the President had put down. And I know that there have been developments on that that I am sure His Excellency will update the Council on.